Residents of the Oghara community in Ethiope West Local Government Area (LGA) of Delta State are resting easier following the fatal lynching of a notorious crime boss operating in the area, Onoriode “Onos” Okeribo, according to sources speaking to SaharaReporters. Onos’ death followed his arrest in Edo State by members of the local vigilante group who had known of his brutal reputation, according to numerous police and local sources. A series of SaharaReporters’ investigations found that Onos was the mastermind behind the armed robbery, murder for hire, and kidnappings in the area and operated with the open protection and collaboration of the 19th Battalion operating near the Oghara area. A SaharaReporters investigation discovered last year that Onos paid members of the 19th Battalion to protect him while he carried out his criminal activities in the area, including illegal oil bunkering, kidnapping for ransom, and carjacking. This was revealed shortly after Lance Corporal Obinna of the 19th Battalion shot and killed Benson Ogedegbe, the Chairman of the Oghara vigilante group, in broad daylight on the orders of Lieutenant-Colonel Aminu Umar. The late Mr. Ogedegbe had been accused of informing the police of the illicit activities of Onos and the 19th Battalion. Our investigation of the battalion also revealed that Mr. Umar, the 19th Battalion Commanding Officer, ordered his troops to abduct and torture protesters in the Koko military base in Oghara, Delta State. The notorious battalion made headlines again in March this year when it went on a rampage in Ekpan community, Delta State, damaging millions of naira worth of property and wounding several persons. SaharaRepoters has since learned that soldiers attached to the 19th Battalion responsible for Mr. Ogedegbe’s murder have been charged for their misconduct. An eyewitness to Onos’ lynching told SaharaReporters that he was attacked by an angry mob, leaving him in a pool of blood surrounded by broken bottles, sticks, and stones. The source added that the deceased was the ringleader of a “daredevil criminal gang” that terrorized the community with kidnappings, armed robberies, and pipeline vandalism. 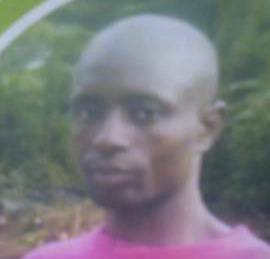 It was gathered that Onos was arrested in Benin City from neighboring Edo State and taken to the local government headquarters where a mob lynched him. When police officers attempted to protect Onos, they were reportedly threatened by the mob. The Oghara local government chairman, Sulemon Golley, also confirmed these developments but told SaharaReporters that details would need to be given by the Edo State police. Speaking to SaharaReporters, another resident who commended the action of the mob stated that Oghara had been under the grip of kidnappers and armed robbers for years and the situation had degenerated to the level where landlords and civil servants who were targeted by the gang had to leave the community. SaharaReporters spoke to the Delta State Police Public Relations Officer, Celestina Kalu, who confirmed that Onos was arrested in Edo State and has reportedly died by mob lynching. Mrs. Kalu also told our correspondent that the Delta State police are continuing to investigate the remnants of his gang operating in the Oghara area. The Edo State Police Public Relations Officer was not available to take SaharaReporters’ call at the time of publication.